As creators of the FURminator deShedding Tool, FURminator continues to raise the bar with innovative, proprietary shedding solutions. The FURminator lineup of deShedding tools, grooming tools, hair care products, bathing and hygiene solutions broadens and enhances the FURminator deShedding experience for pet parents and their pets. Simply put, there is no pet care solution on the market like the FURminator product line. FURminator products give you the confidence you need for at home grooming that gives you professional results. 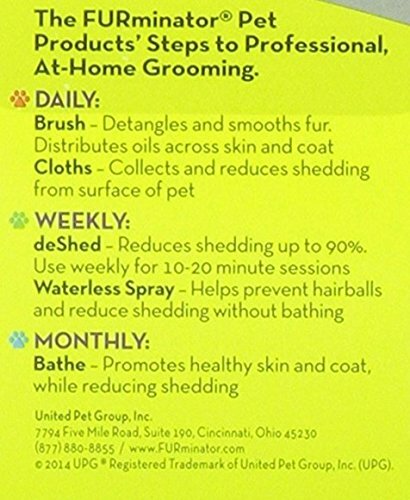 FURminator deShedding Ultra Premium Conditioner is enriched with Omega 3 & 6 Fatty Acids, Chamomile and Aloe Vera to help reduce excessive shedding. This conditioner is a non-irritating, non-drying, conditioner ideal to promote healthy skin and coat to help reduce excess shedding. 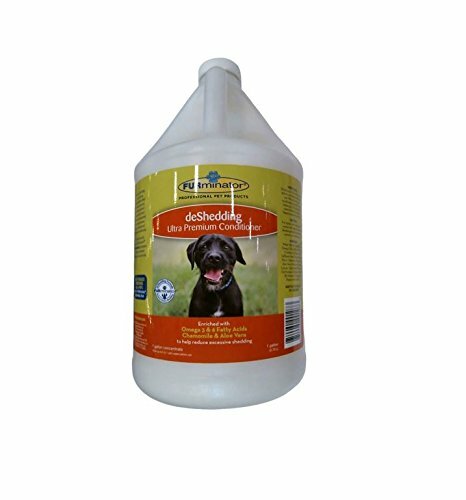 Used and recommended by veterinarians and professional groomers worldwide. For topical use on dogs. Avoid contact with eyes. For best results, use with FURminator deShedding Conditioner to help release undercoat and loose hair.